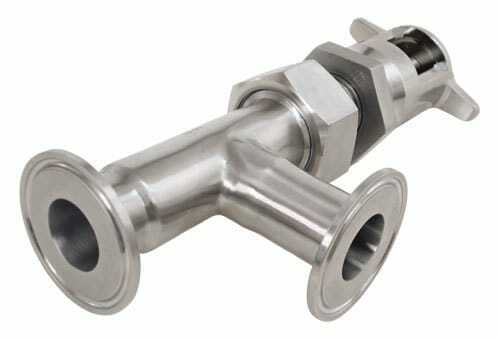 Spring-loaded relief valves commonly used for sanitary pressure relief of a piping system or pump. Diverts product flow when the product pressure exceeds a manually adjusted set point. Available with one of several springs for relief pressures ranging from 5 psi to 85 psi. Designed for the food, dairy, beverage, brewery, home & personal care, and chemical industries.